Five grand for mystery sushi. Seven for plastic cups. And more fuel than the plane could possibly hold. Such are the deceptions stinging the billionaires and mere millionaires of today’s private jet-set class. In an era of ultra-wealth, reports of shady billing related to private-jet travel are on the rise. It says as much about this era of hyper-wealth as about modern-day fraudsters. So much money is sloshing around the world that, inevitably, crafty operators are seeking a slice, trying to help themselves to what they figure is a mere rounding error to a billionaire. About a third of private-jet owners are worth more than $500 million, according to a 2018 report by VistaJet and Wealth-X. Part of the problem is the sheer quantity of paperwork and bills associated with private air travel. One flight can generate dozens of invoices, for fuel, food, over-flight permissions, airport fees, on-ground services, crew hotels, re-positioning flights and maintenance. And every trip is different. That makes it hard for globetrotting billionaires to keep track. With complex assets like jets and yachts, “there is a tendency for people not to understand the cost structure, so if someone puts an invoice in front of them, they’ll sign it,” said Mike Brodsky, a managing director at Deloitte Financial Advisory Services. It’s not clear whether such attempts to overcharge are becoming more prevalent or simply more visible in today’s world of social media and technology. While there’s no precise accounting of the amounts lost through inefficiency and fraud by ultra-wealthy households, they likely run into the billions of dollars a year. “Any numbers out there about the amount of fraud against ultra-high-net worth people is understated, because many people won’t admit to it,” Brodsky said. 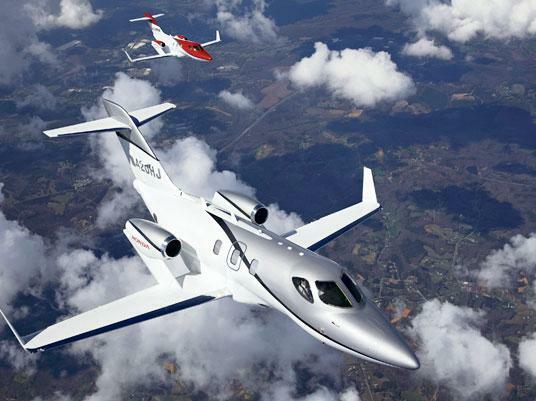 There are 21,000 business jets worldwide, which cost their owners about $32 billion to run. This sum can be decreased by a quarter if operations are optimized, My Sky estimates. One jet broker, who asked not to be identified when talking about potential customers, said he’s seen evidence of overcharging and that it’s common for jet owners to fall out with their management companies. Some aircraft operators now say that providing transparency has become an essential selling point. But frustration remains high with the industry. A chief operating officer for a large family office, who didn’t want to be identified discussing private business arrangements, describes jet management companies as “a necessary evil” and recently switched to a new one. The old company gave him information that was disorganized and hard to review, and didn’t try to get him the best pricing, he said.